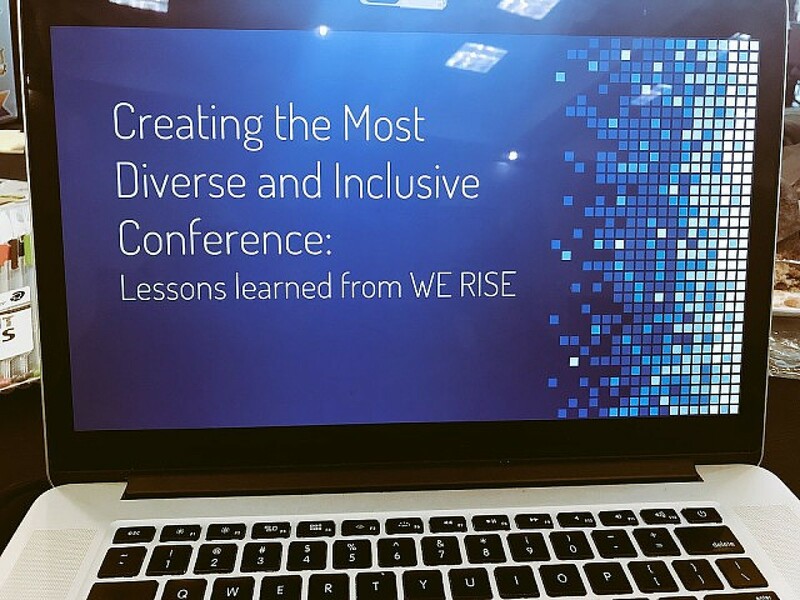 View Creating the Most Diverse and Inclusive Conference: Lessons learned from WE RISE on Notist. WWCode ATL team created their first tech conference with astounding success. Beth and Angel will talk about what it takes to create a true technical event where everyone feels comfortable and included, regardless of level of technical experience, gender, sexual orientation, race, nationality, accessibility or other groups of identity. Presented by WWCode Atlanta leaders Angel Banks and Beth Laing. Angel puts presentations on for free. You can too.